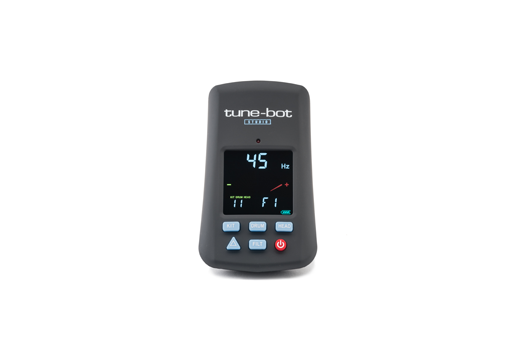 With its introduction in 2012 the tune-bot brought drum tuning into the digital age enabling tens of thousands of drummers to Sound Better and Tune Faster worldwide! The Tune-Bot Studio has all the ground-breaking features of the original tune-bot plus many more. 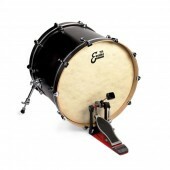 The new model offers more reliable readings, a higher frequency range (better for tuning snare drums), a four-color display and streamlined keypad, and improved kit-saving options all in a performance package that's easier to understand and operate.With its introduction in 2012 the tune-bot brought drum tuning into the digital age enabling tens of thousands of drummers to Sound Better and Tune Faster worldwide! The Tune-Bot Studio has all the ground-breaking features of the original tune-bot plus many more. The new model offers more reliable readings, a higher frequency range (better for tuning snare drums), a four-color display and streamlined keypad, and improved kit-saving options all in a performance package that's easier to understand and operate. The best way to perfect YOUR sound and keep it. The Tune-Bot Studio features an all new design with a color display combined with a simplified keypad for ease of use.